We hope you are all alright and have had such a nice Summer as we did. Some time has passed since we were with you for therapy. It was again a very nice, intense and successful time. Sandra has improved a lot. 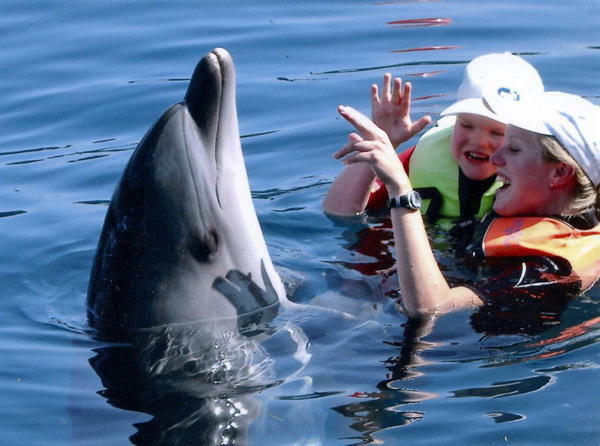 Sandra loves the dolphins ( especially Frosia) a lot and she still often speaks of them. Every day she had a lot of fun at the therapy. 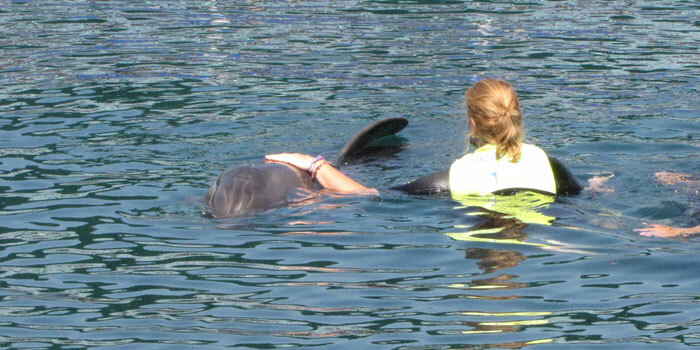 She was also very proud to be alone in the water with Frosia and to be allowed to give her instructions. Best wishes from, at long last, sunny Münster. We arrived back safely but are missing you all a lot!! 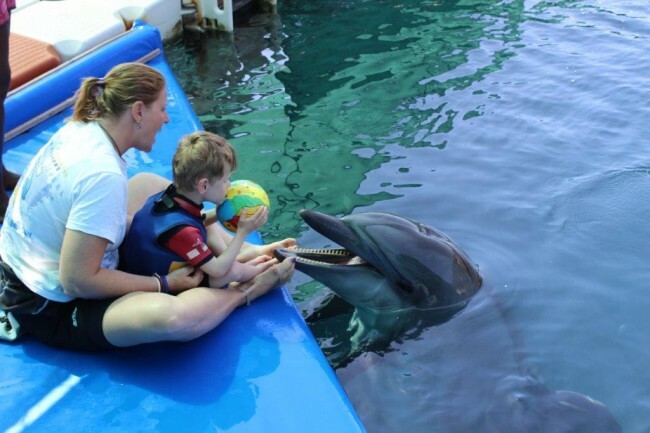 The seriously disabled Janik Schröder from Bad Ditzenbach in Germany took part in Dolphin Therapy in Turkey for 2 weeks. 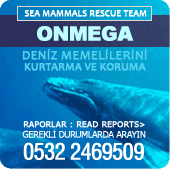 This was made possible through donations – also from GZ readers. 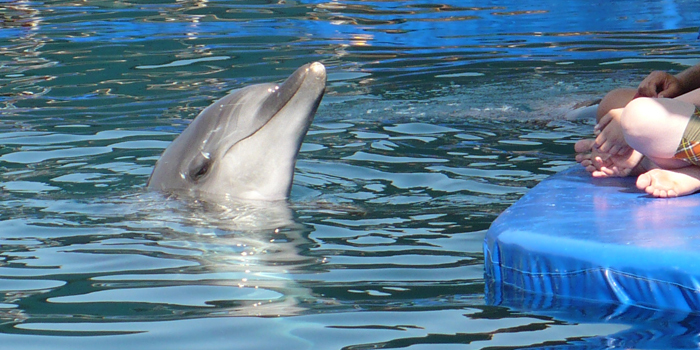 “Schblasch”, answered Janik Schröder beaming at the question to what “his” dolphin was called. This “Splash” had decisively contributed to the fact that Janik can now live with more self-confidence. 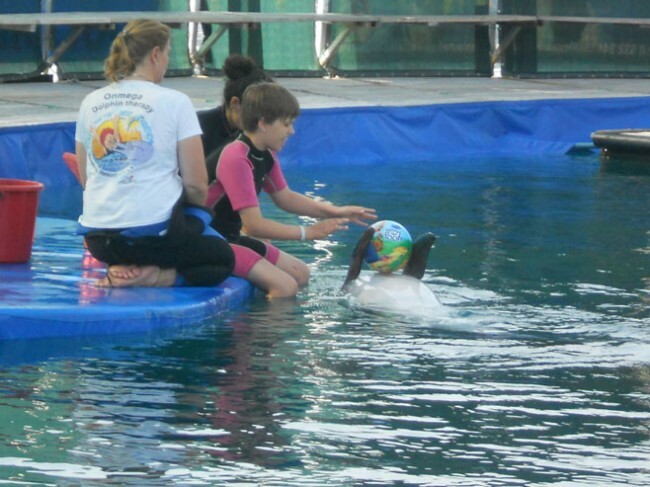 The eleven year old boy from Bad Ditzenbach was with his Grandparents for two weeks in Marmaris, Turkey, for Dolphin Therapy.